I might have found a lotus. Today Mr. Glad and I were out in a different part of the neighborhood, and there was my flower growing in a sidewalk crack. I grabbed a bunch and brought it home. Here is its picture. I don’t have time to research this thoroughly right now but I’m putting up my pictures for Katie and anyone else interested to see. They are cute little flowers in any case and a welcome break from ugly thistles and puncture vines. It just occurred to me that it would be fun to document all the weeds that grow through the different seasons around here, when they catch my attention. But I also thought of doing a similar project in my own yard, with the beloved plants that I cultivate. And the latter sounds like more fun for a starter. How pretty! I love the ones you brought home. Even the leaves are very attractive! Oooh, yes, more pictures of flowers and gardens! A friend of mine has been researching weeds, and has discovered that many of them are incredibly jam-packed with vitamins and mineral goodness. So I am thinking of forgetting the vegie garden, and just picking weeds instead.. I know that one…it's a very pretty weed. Do you know what it's called? Martha, I guess my post doesn't make much sense if you don't click on the link to the other blog, which is all about plants called “lotuses.” By comparison with her pictures, I think mine looks like a lotus, but I'm kind of waiting for Katie to check in here and tell me what she thinks. Gretchen, thanks so much for referencing Nature ID. Just a friendly reminder – next time, please let me know before you take one of my photos (see the bottom of my blog for the standard (c) blurb). 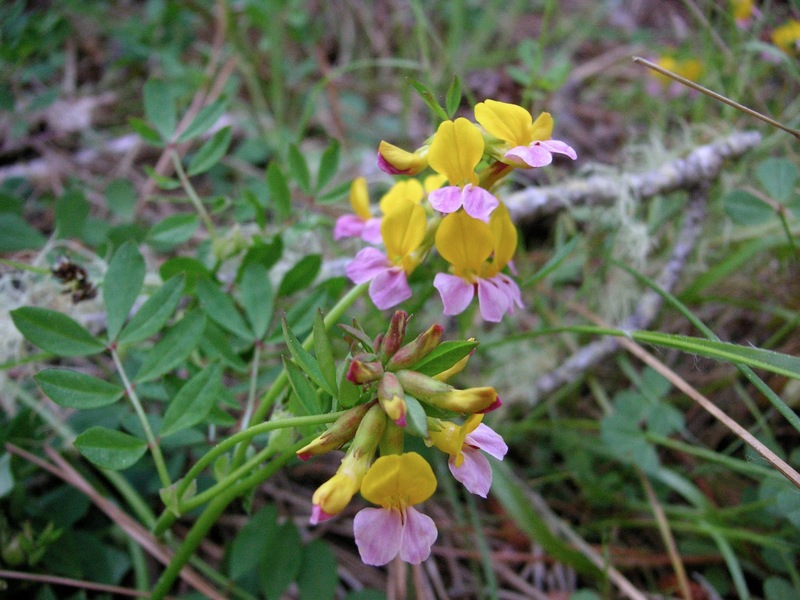 With over 720 species of legumes in CA (http://www.calflora.org/cgi-bin/specieslist.cgi?where-family=FABACEAE), it would help me narrow down what you have if you let me know where you live. You can send me a private e-mail if you wish to jokyungee at the usual gmail extension. What a pretty “weed.” The leaves and even the flower have a pea look to them. I look forward to more of your weeds/flowers and any other beauties you come up with. One year I was going to do a booklet on all the grasses that grow here on our ranch, but we ended up in a drought with very few mature grasses and I didn't do it. Pretty puzzle. 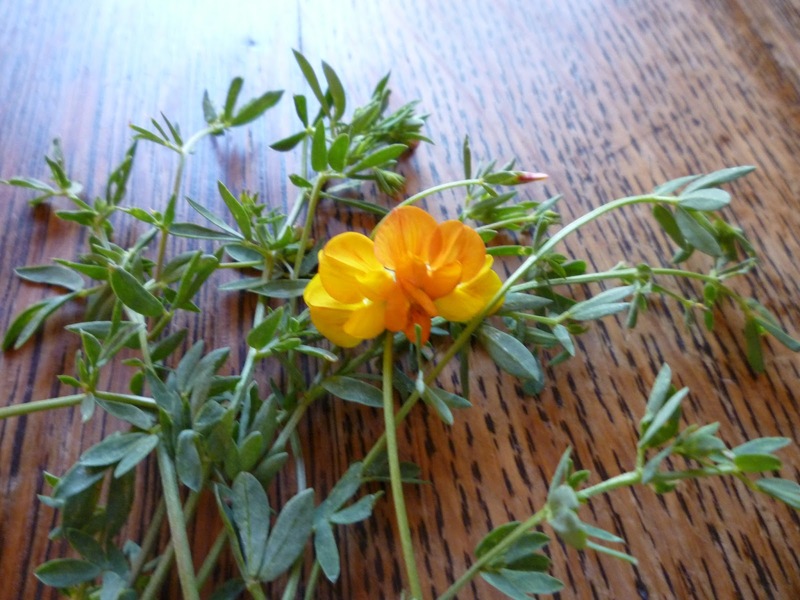 My best guess would be slender bird's-foot trefoil (Lotus tenuis), because of the narrower leaves. 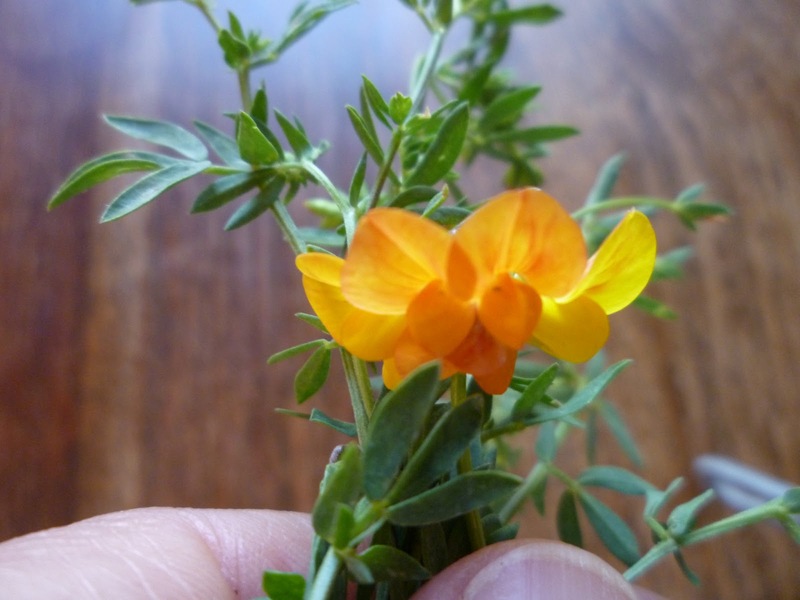 If that's not it, then my second guess would be common bird's-foot trefoil (Lotus corniculatus), and apparently it really is common. Both are not native. Wikipedia says some botanists treat the slender as a subspecies of the common. Go figure. Hope this helps. I like your idea of documenting flowering weeds and yours are beautiful. I can't think of any other flower with the color combo of the first one. I think I prefer these to many fancy flowers.